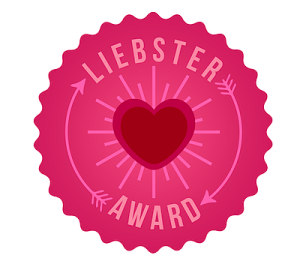 The liebster award is a lovely way to get new blogs with fewer than 500 or so followers more notice. It is a nice way to get more notice and to know new blogs out there. I made it out on a girls night once in heels! 2. If you were stranded on a dessert island which celebrity would you want to be deserted with? 3. What do you value most in life? 4. If you could go back in time, what year would you go back to and why? The day I got married. I would have chilled out more and changed my photographer! 5. If you could learn to do anything, what would it be? To be patient! I am too shouty with my kids. 6. What is the most adventurous thing you have done? To go on a crazy ferry across to Pei Pei Island in monsoon season. (Not that we had a choice) Seriously thought I was going to die! 7. What brings you the most happiness in life? 8. Bikini or one piece? One Piece! All over body one? OK a wetsuit! 9. What is your favourite thing to blog about? 10. What are your 3 favourite blogs right now? 11. When did you begin blogging? Phew, thanks Emma for those questions! Here are my nominee's - They may not be new or have fewer than 500 followers and there may only be 8, but they are ones I have discovered and think are great and worth sharing with you all. They might be new to you too! 1. What did you want to be when you grow up? 2. What is the grossest thing you have ever eaten? 4. Tell us something funny about yourself? 5. Strangest gift you ever received? 6. Favourite place to holiday? 7. What do you do when no one is looking? 8. If you had a super power, what would it be? 9. When was the last time you helped someone? 10, When was the last time you felt amazing? Looking forward to your answers! !